Directions North America was the first of a ground-breaking pair of Directions conferences, building upon what we already knew from Microsoft's Business Applications October ’18 Release Notes. It has been confirmed that Dynamics NAV is now going to be called Dynamics 365 Business Central, and was stressed that Business Central is a cloud-first service, noting that "once customers sign up for the service in the cloud, they have the option to deploy it locally to their choice of hardware." ERP servers on premises live on for those who want them, but those 239 pages of carefully crafted words imply the only way to buy Business Central will be to sign up for the cloud service. All Microsoft SMB customers will have the option to use Business Central's new cloud-based business intelligence, artificial intelligence, machine learning, and other cloud productivity and analytics tools, wherever their ERP systems are deployed. 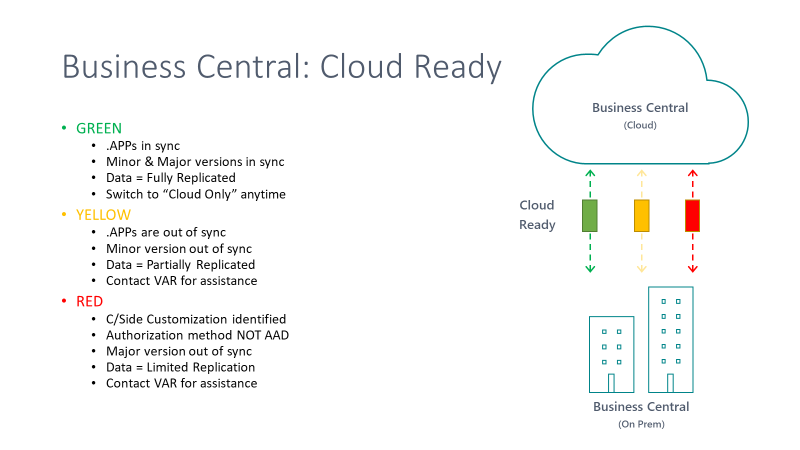 It looks like Business Central will only be licensed through Microsoft Cloud Solution Providers, at the same rental-based price, whatever the deployment scenario. That would mean the end of perpetual software licenses, and it will be interesting to see how that message plays out during the Directions events. For us at Equisys, the Directions events represent another milestone in our long association with Microsoft Dynamics. We are proud to have, in time for Directions, the first expense management solution in AppSource designed specially for Business Central and Dynamics NAV. It's ready for sale via our partners in the USA, Canada and the UK. We will be demonstrating it at both Directions events, and at NAVUG Summit, too. As Zetadocs Expenses is an expense management app designed from inception for Business Central/NAV, we found the AppSource validation process to be relatively painless. We stuck to Microsoft's detailed guidelines, and found it all pretty slick. Life might have been different had we had been trying to force an older product without Dynamics heritage into the Microsoft Cloud, but getting your app into AppSource seems to be easiest if it has grown up in the NAV world, like ours have. A big shout out to Microsoft's AppSource validation team who were particularly responsive to all our queries and offered us a professional service – thanks again for all your assistance. As part of our support for Business Central, we are introducing a new lower-priced Essentials edition of Zetadocs Expenses that provides all the key features that most SMBs going digital will need daily to manage their travel and entertainment (T&E) spend. We’ll add a Plus edition next year that allows our partners to customize the service's integration with Business Central to apply additional business logic for mid-market companies. We have a new datasheet that details all these features. Pricing is available, as usual, through Zetadocs account managers. Now that we have our first Zetadocs app for Business Central available in AppSource, Zetadocs Delivery and Zetadocs Capture will follow. Both will support deployments of Business Central on premise within 90 days of its release as part of the Business Central October '18 update. These Zetadocs apps will be suitable for customers upgrading to Business Central from Dynamics NAV on premise or privately hosted. They will be Business Central extensions in AppSource, using .NET interop for functionality impossible to achieve in pure AL (the programming language of Business Central). This will ensure that our customers can still enjoy the full benefits of Microsoft's new cloud-based AI and BI services. We will then migrate Zetadocs Delivery and Zetadocs Capture to cloud-first solutions and turn those hybrid Business Central customers' “Cloud Ready” status from yellow to green, allowing them to fully transition to the cloud when they want to. So, we are planning to be busy between now and the Spring ’19 update. Get in touch to find out about how we are getting #ReadyToGo.